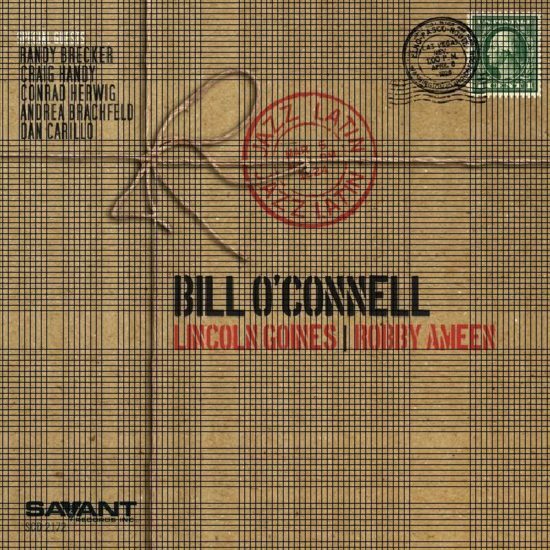 As the album’s name suggests, melodic and harmonic expression are favored over Latin percussion, but the core trio, sometimes aided by O’Connell’s resounding left-hand jabs and pedal tones, lacks neither muscle nor finesse as it navigates samba, salsa, and funk grooves. Jobim’s “Zingaro,” reconfigured as a waltz, offers a delightful twist, as does O’Connell’s buoyant Latin orchestra-like reprise of “Puttin’ on the Ritz.” Carillo appears on two cuts, including the Plainfield tribute “Goodbye My Friend.” He brightens the tune with sliding sixths and bluesy pentatonics, but not before Brecker, on flugelhorn, delivers a lovely, heartfelt performance. Likewise, the pieces that showcase Handy, Herwig, and Brachfeld sound as if they were designed to do just that. All the while, O’Connell shines, whether displaying a harmonically deft touch or throttling the trio’s exhilarating thrust. Preview, buy or download Jazz Latin on Amazon!